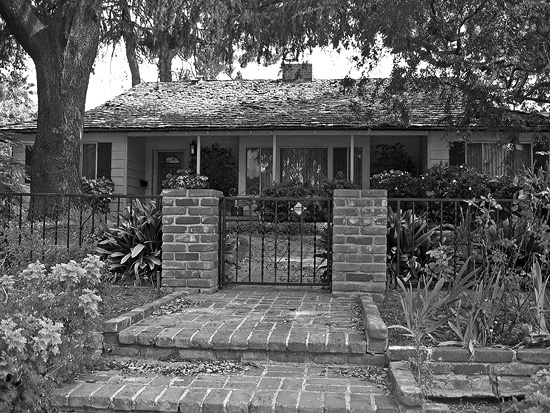 Click on the photos for a full size view. 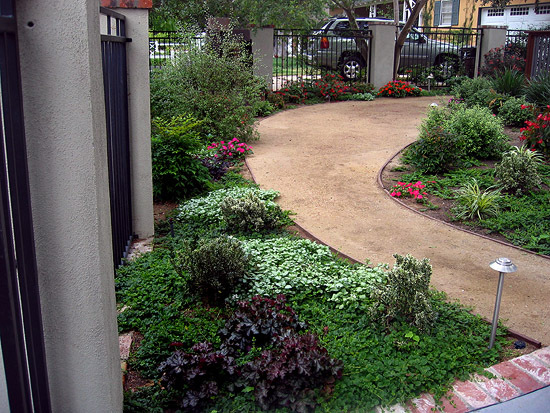 As part of a larger home remodel, this front entry was reconfigured to make it more welcoming from the street. 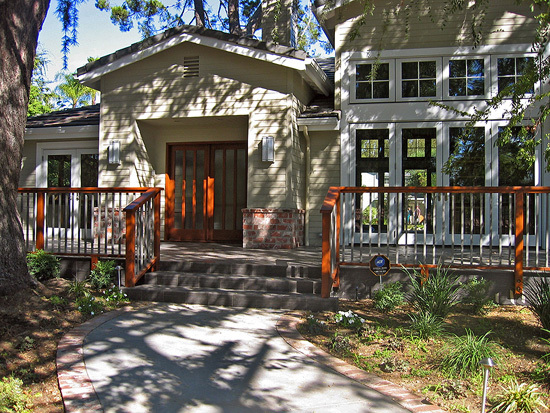 A spacious porch was added on, with a custom designed wood railing. 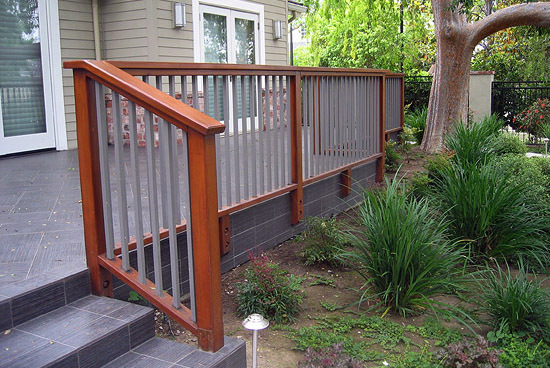 The pickets in the railing are powder coated steel, to tie in with the gray tile of the porch. 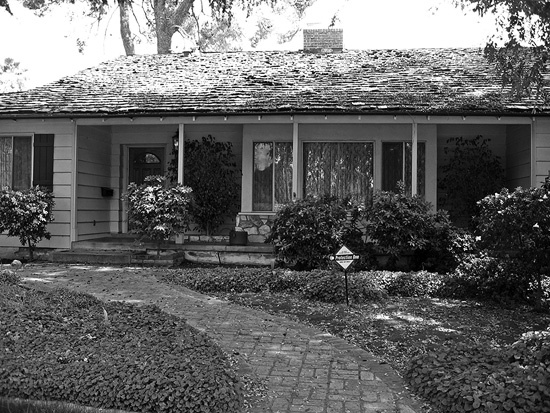 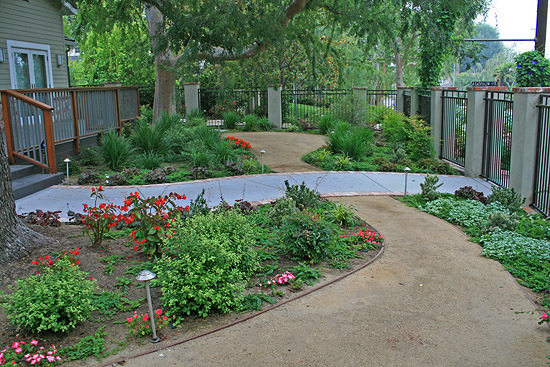 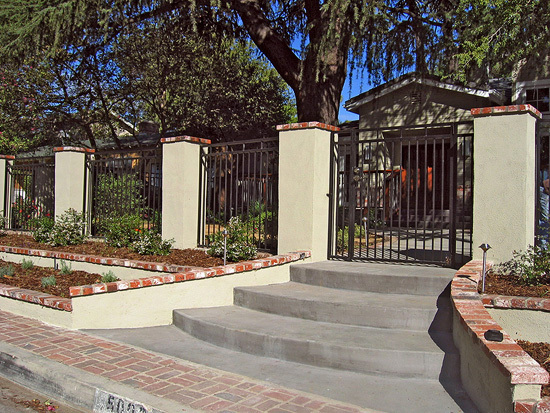 The gated entry from the street was also redone with wide contoured front steps, steel gray wrought iron fencing, and stucco pillars with brick caps.